Create a graphics based program. You can start a new program, or continue with a prior lab. Make sure this program is created in its own directory. If you are starting from the template I have at BitBucket, then make sure you start in the “Lab 11 - Bitmapped Graphics and User Control” folder and put everything in there. Add the ability to control an item via mouse, keyboard, or game controller. Include some kind of bit-mapped graphics. Do not include bit-mapped graphics as part of your “draw with a function.” That won't work well until we've learned a bit more. Include sound. You could make a sound when the user clicks the mouse, hits a key, moves to a certain location, etc. If the sound is problematic, try using the program Audacity to load the sound, and then export it as a .ogg file. Make sure all files are added to version control. It is easy to forget to add the images and sound files. Double check the website to make certain the files are added. If instead you need to send the program to someone, the entire directory must be zipped. See Figure 32.2. You do NOT need to do this if you are turning in your program using BitBucket or some other version control system. Stop. Did you double check that all the files needed are uploaded? 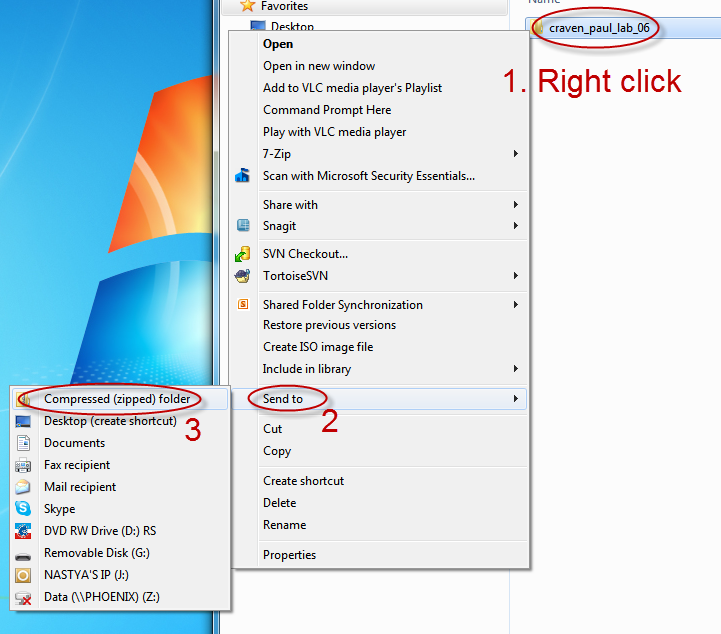 Triple-check that your image and sound files are uploaded or zipped up. (If you are e-mailing your program, zip the files. If you are using version control with SourceTree or similar, then don't zip them, just make sure they get added to version control.) Even with a double-check about 25% of students seem to miss the files. Ask if you aren't sure. If you are using Bitbucket, make sure you can see those sound and graphic files in your lab folder on Bitbucket. It is ok to use code from prior labs, such as Lab 5.